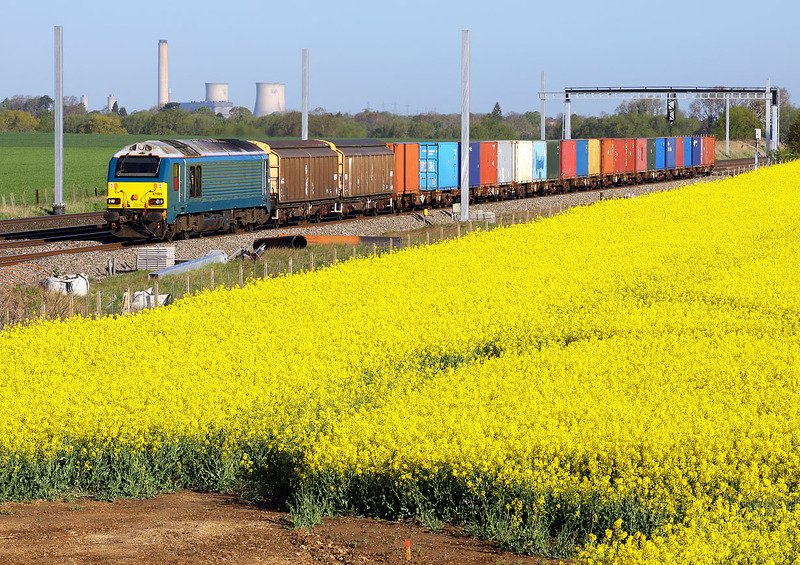 Arriva blue liveried 67003 passes Cholsey on 28 April 2015 with the diverted 6A49 07:32 Didcot to Bicester MoD stores. A good load on this occasion, as it would not be at all uncommon for the train to consist of just the two VGA vans at the front! Due to the Oxford to Bicester line being closed for extensive rebuilding, this train has to take a very long way round, going via Greenford and Calvert. It does however give much better early morning photographic opportunities.